In the past few years, particularly after the 2007-8 world food price crisis, there has been a lot of attention to the global expansion of large-scale acquisitions of farmland, or what is usually referred to as land grabs. The investors range from transnational corporations and high-class individual investors to governments. 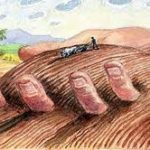 A data set produced by GRAIN, an international NGO that has done influential research on land grabs, documents over 400 cases of large-scale land grabs, covering nearly 35 million hectares of farmland in over 60 countries, that happened from 2006 to 2012. The problem with land grabs is that they do not contribute to the development of local communities, as they promise to do. Capital-intensive agricultural investment does not provide jobs and is spectacularly environmentally destructive. Additionally, as Olivier de Schutter, who served as the UN Special Rapporteur on the Right to Food from 2008 to 2014, has asserted, land grabs are having devastating effects on food security worldwide. It is often wrongly presupposed that land grabs are something that does not concern Europe. It does both because EU policies stimulate such type of investment and since European corporations are directly involved and because land grabs are present within Europe as well, particularly in Eastern Europe. In a recent study, commissioned by the European Parliament’s Committee on Agriculture and Rural Development, we find “significant evidence that farmland grabbing is underway in the EU”, especially in some Eastern European member-states. For instance, foreign direct investment in the agricultural sector in Estonia, the same study indicates, rose five times in the period from 2003 to 2008. In Romania, as a 2013 study on land grabs in Europe published by the Transnational institute (TNI), an Amsterdam-based progressive think-tank, shows about 700,000 – 800,000 hectares of farmland is estimated to be in the hands of large multinational corporations. The EU, as research by the TNI has demonstrated, is a major actor in the global land grab rush. More than forty percent of the largest investors in the field are based in Europe. For example, the British Landkom was leasing over 100 000 hectares of land in Ukraine in 2008 and 2009. Furthermore, EU policies end up stimulating land-grabbing. The Renewable Energy Directive, adopted in 2009, requires that 20% of energy used within the EU, as well as 10% of transport fuel in individual member-states come from so-called “renewable” sources. This leads to entrenchment of the agrofuel industries by creating a stable and favourable environment for investments in cash crops such as corn, that are convertible to fuel: a major stimulus to the global land grab rush. 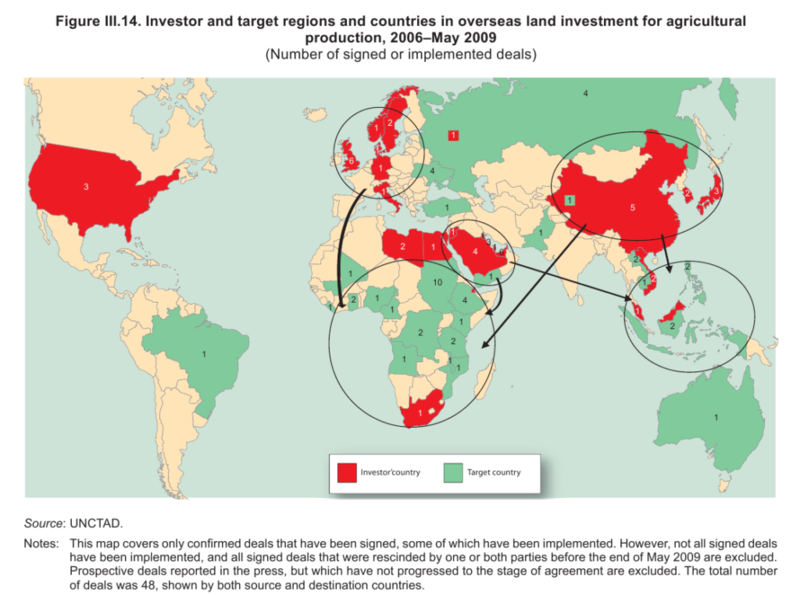 The same TNI report shows that there are in fact a number of similar EU policies, such as its external investment and trade policies or its internal agricultural policies, which actively contribute to the global expansion of land grabs. There have been individual critical voices from EU officials. 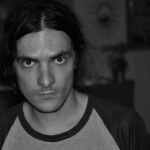 In 2009, for instance, Stefano Manservisi, the director-general for aid and development at the European Commission, stated that “this is another way to exploit developing countries… a perfect example of neo-colonialism”. But the overall EU policy remains unchallenged. The Everything But Arms (EBA) initiative, adopted by the EU in 2001, aims to promote EU imports from the least developed nations for everything except for arms and hence to integrate them in the global economy. In practice, however, it has contributed to the growth of land grabs. In Cambodia, for example, EBA promoted tariff abolition of Cambodian sugar imports in the EU. This measure was supposed to create jobs, but in reality it stimulated the Cambodian government to drive farmers off their land in order to lease the farmland to big international investors. This led 400 farming families to initiate a litigation against the implicated multinational corporations in London’s High Court. А study on land concentration in Bulgaria, published last month by Za Zemiata, the Bulgarian member of Friends of the Earth, shows that the number of agricultural producers have been falling constantly in the last 15-20 years. In 2003 there had been over 650 000 registered producers and in 2013 the number fell to about 250 000. Cooperative farms have been in constant decline, too. Between 2003 and 2010 both their number and the land they use fell by about 50%, but, at the same time, private agricultural investors have enjoyed high growth levels. To finish on a positive note, in the midst of this bleak picture, some peasant farmers, agricultural workers, as well as food and environmentalist activists have started to organize in Eastern Europe against this utterly unjust land policies. The next European Nyeleni Forum for Food Sovereignty, which unites the progressive organizations in the field of land and agricultural politics, will take place this autumn in Romania. Perhaps it is possible to hope that this is indicative of potential politicization against the socially destructive effects of neoliberalism in the agricultural sector, so painfully visible in Eastern Europe.